Alumni of the Hope College art department have gone on to complete graduate degrees, exhibit their work and have successful careers. Vicki is currently in the Art History Program at American University in Washington, D.C., pursuing an M.A. degree in art history. Her research focuses on propaganda art in China during the Sino-Japanese War period. She recently presented her research at the 2018 Robyn Rafferty Mathias Student Research Conference. In addition to writing her thesis, she's looking forward to interning at the Smithsonian Freer and Sackler Gallery in D.C. and is applying to Ph.D. programs across the country. Nikki Kamp graduated from Hope College in 2014 and worked as a elementary art teacher for two years in Honduras. She continued in her career as she moved on to work at a charter school in Illinois, where she taught art to grades 1–12. In July 2017 she will be moving to Taiwan to teach high school art. Since 2014, Megan has worked as a high school art teacher at Wellspring Preparatory High School, where she was nominated for MAPSA’s Charter School Teacher of the Year in 2018. In the summer, she runs art programs to prepare high school students aspiring to find careers in the arts and for middle school students seeking further growth in the arts. Beyond teaching, Megan co-founded an artist collective called Good Manufacturing which is comprised of eight Grand Rapids artists who meet at Bend Gallery to create, critique and show their work. The SUV Series has been shown in Flex Gallery at the Urban Institute for Contemporary Arts as well in More Than Anything at Bend Gallery in Grand Rapids. Her mixed media sculptures have been shown in The Calming Effect at Spiral Gallery in Grand Rapids as well as the Waterloo Arts Juried Exhibition in Cleveland, Ohio. Currently Megan is working on an outdoor installation, Sonder, which will be exhibited at Grand Rapids Public Museum in ArtPrize 10. Athina has been living in Paris, France, since 2014. Originally from Grand Rapids, Michigan, Athina grew up in Saudi Arabia and Dubai. She graduated from Hope College in 2013 with a triple-major in studio art, art history and French. She was also a part of the inaugural class of Mellon Scholars, directed by William Pannapacker. She received her master’s degree in contemporary art history with honors in 2015 at the Université de la Sorbonne – Paris IV. Her master's theses on photography can be found at both the Bibliothèque Nationale de France and the Bibliothèque de l’Institut National de l’Histoire de l’Art in Paris. She is currently pursuing her Ph.D. at Paris IV on the topic of Pierre Boucher under the direction of Arnauld Pierre and has integrated the distinguished research laboratory Centre André Chastel. She is currently in the process of publishing articles for Les Cahiers du Musée National d’Art Moderne, among others. Athina worked for three years as creative events director and photography producer at KG Talents Management in Paris, where she began as an intern after leaving the United States. In December 2016 she curated a group exhibition featuring 30 young emerging artists at the Galerie Joseph in the Marais. She worked as an archivist in Paris for one year following this experience. Today, she is assistant curator for the Department of Photography of the Centre Pompidou Musée National d’Art Moderne, where she began as a research assistant. She also co-founded a non-profit organisation, 19-20 Art Contemporain, which aims to put forward the work of Ph.D. candidates who specialize in contemporary art by giving them opportunities to publish or present their research in France. They recently organized a conference at the Institut National d’Histoire de l’Art on experimental photography with guest curators, artists and art historians. In September 2018, the organisation hosted a meet-and-greet and discussion with artists at the LaBel Valette Street Art Festival. The organisation also offers free commented exhibition visits for Ph.D. candidates in Paris, all of which are followed by group discussions. Her team works on commercial campaigns and commissions, artistic collaborations, creative brand content, digital and animation projects, interior design installations, and art exhibitions and solo/group shows at an international scale. The sale of original artworks and personal art commissions are also available. Cūra developed its limited edition creative publication featuring unique artistic collaborations, Cūra Journal, in September 2018. Justin Korver is an artist living and working in San Antonio, Texas. Originally from a small town in the northwest corner of Iowa, Korver moved to Holland, Michigan, to complete his undergraduate work at Hope College. He also lived and worked briefly in New York through the N.Y.C.A.M.S. program where he interned with Phoebe Washburn. Korver received his MFA from the University of Texas at San Antonio, where he taught introductory sculpture and 3D foundations. He is the recipient of multiple awards, including the Distinguished Artist Award, the Stanley Harrington Art Award, Herman Miller Award, the Art Presidential Fellowship, Peggy and Richard Valvert Endowment and the Art Guys Endowment. While pursuing his graduate degree Korver worked with a number of arts organization in San Antonio. He works as an art handler at the Southwest School of Art, as the volunteer coordinator with Luminaria and as an intern and associate educator at the Artpace. Korver is now a full-time professor at Texas A&M San Antonio. He has also exhibited extensively in Texas and nationally. Highlights of this exhibition record include the River Market Regional Exhibition in 2013, curated by Jerry Saltz, Material Matters at WoCA Projects in 2014, and Accessories of Modern Men at Terminal 136 in 2016. Examples of Korver’s art can be found at justinkorver.com. Alyssa works on the Lilly Brand team as a senior designer. Prior to joining in early 2016, she worked at a medical marketing agency supporting large pharmaceutical brands. Her work won the 2015 HOW In-House Design’s Healthcare Merit Award as well as the company's 2015 Innovator of the Year Award. Since joining Lilly, Alyssa has collaborated on projects involving the Indy 500, NASA's partnership with Lilly at the International Space Station, capital investment initiatives involving state and national government, Indianapolis' PRIDE initiatives, NPR national campaign (her supporting visuals for the campaign were ranked the highest engagement of all NPR sponsored content in 2016), the launch of LillyForBetter.com and the rebuild of Lilly's corporate website Lilly.com. Her collaborative work on LillyForBetter.com and Lilly.com won three Communicator Awards. The Award of Excellence is its highest honor, given to those entrants whose ability to communicate positions them as the best in the field (scoring above a 90 out of 100 from the judges). The Award of Distinction (won in two categories — Website, Pharmaceuticals and Website, Corporate Communications) is presented for projects that exceed industry standards in quality and achievement (scoring between a 70 and 89 out of 100). Alison has been working at Disher, located in Zeeland, Michigan, since graduating for graphic design, product/market research and marketing. She is part of the Discovery team located in Disher's Design Studio and collaborates daily with industrial designers, marketing strategists and product design engineers. She led Disher's brand refresh in spring 2015. In addition to designing marketing materials, branding documents, environment information design and other internal graphic design projects, Alison works on client-based graphic projects that extend to vision maps of business strategies, infographs of industry research, technical presentations and branding solutions. She was certified in market research through the University of Georgia in 2013 and has done multiple product, technical and industry-based research projects for a variety of clients. Person, Place, or Thing. 2013. Text design of Jack Ridl poetry for collaboration artwork of other local artist. The projects she’s worked on at Disher have allowed her to experience working with companies in various industries along with consistently new roles and responsibilities, including designing and deploying a user interface for a product's touchscreen control panel, planning, organizing and implementing a focus group ergonomic research study, and designing a custom process for a company to aid in making business decisions. Her niche has evolved into not only doing research and understanding the market for a given client, but organizing and visually communicating the information in order for it to be easily understood by the end user. ​Upon graduating in 2012, Nicholas started working as a K–6 art educator for Grandville Public Schools. While teaching, he completed his master’s degree in art education at the University of Nebraska at Kearney. Nicholas was picked to represent the 2015 graduate class by carrying the graduate school gonfalon. Currently, Nicholas attends Northern Illinois University (NIU) full time, working toward a Ph.D. in art and design education with a focus in assessment and technology. Nicholas is presently teaching a course for NIU on art and technology in the K–12 classroom​ ​and is the head coach for St. Charles East boys lacrosse. Nicholas has worked as an item writer and exemplar reviewer for Michigan’s Model Arts Education Instruction and Assessment Project and has presented at the Michigan Arts Education Association conference. He is assisting Dr. Boughton’s research of student risk-taking in high school art and will be published in the first International Encyclopedia of Art and Design Education being edited by Dr. Freedman. Nicholas will present several times this fall at the Michigan Art Education Association and Illinois Art Education Association conferences. Nicholas Leonard in engaged to Chelsey Huisingh and will be married at Hope College in 2017. Amanda graduated from Hope in 2012 with a double major in art and psychology and from the School of Visual Arts in 2014 with master’s in professional studies in art therapy. Her master’s thesis addressed how positive psychology and positive art therapy could be used within an adult psychiatric unit to promote goal setting and instill hope in patients. She received the Paula Rhodes award for graduate-level academic success. Amanda is the manager of MRC artWorks, a working gallery for adults with disabilities in Kalamazoo, Michigan. They provide vocational rehabilitation through art making. They have about 60 artists that come to them throughout the week with a range of developmental, mental illness or physical disabilities. The artists work in their studios to create artwork and MRC artWorks sells the artist's work in their gallery. Artists make a commission on each sale, working towards earning a paycheck, becoming contributing members of their communities and learning job skills through the art making process. Betsy currently lives and works in Budapest, Hungary. Since moving there in 2014, she has been managing a café gallery and works as a member of the ReachGlobal Budapest City Team. Her role on the team focuses on investing in local Hungarian artists and searching for ways to catalyze transformation in the art community. In 2015 Betsy’s work was published as the cover art for the Hungarian translation of "Ultosó napom története" by Colin S. Smith. She has exhibited her work in seven international exhibitions in Hungary, including two solo exhibitions in 2015 and 2018. Most recently Betsy participated in the 14th annual international artist colony in Törökbálint, Hungary, working alongside nine other artists from Central and Eastern Europe. Kristen graduated from Hope in May 2010 with a double major in studio art and communication. She went on to continue her education at Michigan State University, where she completed her master’s degree in advertising, with an emphasis in digital marketing, in December 2011. In addition to working as a graphic design freelancer in her spare time, Kristen took a role as the design and marketing coordinator for Lamar Construction Company based in Hudsonville, Michigan, where she designed materials for and worked directly with multi-million dollar clients on a national level. After two years in this role Kristen relocated to Iowa City, Iowa, in 2014, were she took a position as the marketing director for the Ronald McDonald House Charities of eastern Iowa and western Illinois. Within this position, Kristen lead marketing, design and fundraising efforts for the chapter throughout 39 counties. As of March 2016, Kristen has transitioned into a new role as a communications specialist for the University of Iowa. Within this position, she is responsible for all marketing, public relations and design projects for the John Pappajohn Entrepreneurial Center. In 2015, she won one of the top awards for a juried art show called “Botanica” at Bedford Gallery in Walnut Creek, California, for a portrait that was completed while she was at Hope, in 2010. Also in 2015, she exhibited in a couple exhibits in San Francisco, California, including a small solo show called “City Dogs” at Fayes Video, a group show called “#strikeawayshow” at Incline Gallery and a group show dedicated to the cinematic work of Jeunet and Caro at Spoke Art Gallery. Also through Spoke Art, Christine recently had new work displayed in a Wes Anderson-themed pop-up art show in NYC. A spread of her Wes Anderson-inspired artwork is featured in the Wes Anderson art book, “Bad Dads: Art Inspired by the Films of Wes Anderson,” which was released in August 2016 from Spoke Art Gallery and by Abrams Publishing. Wes himself wrote the introduction! One of her proudest accomplishments has been having a new body of three life-sized watercolor portraits included in a six-person show called “Spotlight:Figure” at Arc Gallery in San Francisco, which featured figurative, life-size and larger-than-life paintings. This series is called “Falling: ‘Deep Below Heaven’” and is an intensely personal one for her. Aside from creating work for shows and taking some commissions, Christine is freelancing as an “Artist Coach” for San Francisco-based arts and crafts instructional video company, Creativebug.com. Working there has presented amazing opportunities to meet inspiring artists who are experts in a huge variety of fields. Theresa moved to Philadelphia, Pennsylvania, after graduation and began working as a graphic designer in the theater community. She was the marketing coordinator from 2010–13 and a graphic designer from 2013–15 for the Annenberg Center for the Performing Arts at the University of Pennsylvania. Additional clients include the Walnut Street Theatre, Women’s Way, Bristol Riverside Theatre, Theatre Horizon, Wilma Theater and InterAct Theatre. 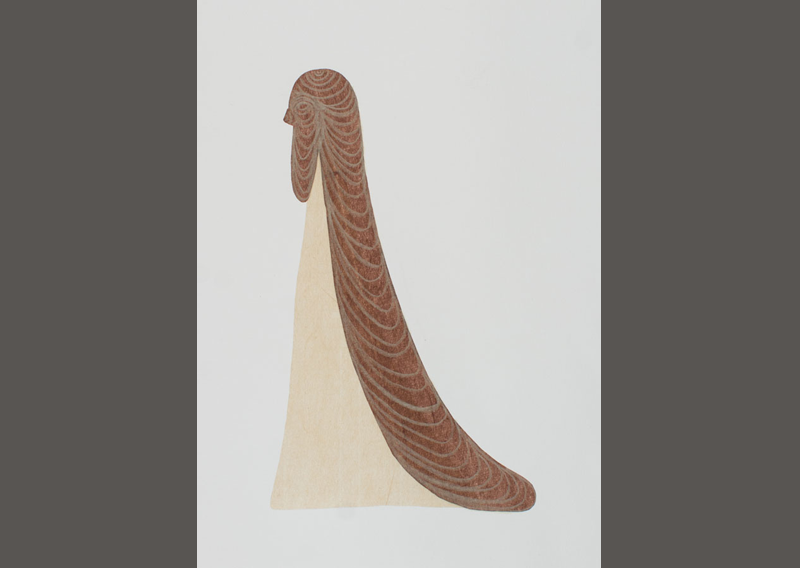 She continued her studio work in Philadelphia, printing at Fleisher Art Memorial where she participated in a number of member shows and took home their top printmaking award in 2012. In fall 2015, Theresa moved to Champaign/Urbana to begin work as a graphic designer for the University of Illinois. Steffanie participated in the 2016 ArtPrize Fellowship for Emerging Curators program. As a curator, she received grant funding and the opportunity to work alongside established curator Paul Amenta, co-founder of SiTE:LAB. Steffanie was selected to share the juried outstanding venue award, This Space is Not Abandoned. She has managed the after school program at Cesar Chavez Elementary School, taught and worked as a commissioned artist. Today, Steffanie pours her talents into the Roosevelt Park neighborhood, planning and implementing arts programming for youth and families as the Program Director at Cook Arts Center. In 2010 Steven launched his Chicago-based independent practice, Steven Haulenbeek Design Concepts Inc. (SHDC Inc.), an interdisciplinary studio concentrating in artwork, furniture, lighting and objects for the home. His work runs the gamut in scale, material and process but all exhibits a unique aesthetic simplicity through a hands-on, experimental prototyping style. Steven Haulenbeek has been the recipient of several honorable mentions and awards. In 2015 he was named by the New York Times as one of the most exciting emerging American designers. Most recently, in 2016 he was named the American Design Honoree at Wanted Design Fair during New York Design Week. This October he will be guest lecturer at Cranbrook Academy of Art in Bloomfield Hills, Michigan, and he is currently working on commission works for Volume Gallery in Chicago and The Future Perfect in New York and San Francisco. He is also one of two American designers invited to participate in “Local Icons,” curated by Giulio Cappellini and Domitilla Dardi at the Maxxi Museum in Rome, Italy, in 2017. Monica Czechowicz ’16 Taylor was the Dryfhout intern at the Kruizenga Museum during the Spring of 2016 and is currently working as the collections photographer and cataloger at the Grand Rapids Public Museum in Grand Rapids, Michigan. Rian Sayre ’16 currently works as a gallery assistant at ROAN & BLACK Contemporary Gallery in Saugatuck, Michigan. Amelia Stanley ’14 has been awarded a Gradute Fellowship at Indiana University and is in her third year in the MFA program. Julia Windom ’14 was a double major in studio art and Japanese at Hope College. Julia went on to receive her MFA in fiber arts at Eastern Michigan University. In summer 2015, Julia interned for Japanese contemporary artist Yanagi Yukinori at ART BASE MOMOSHIMA, an arts center on a small "art island" in the Seto Inland Sea. 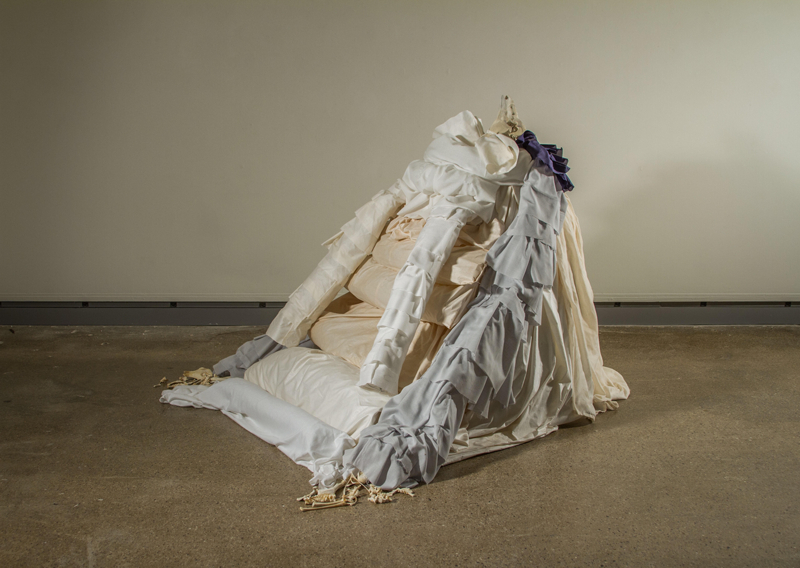 When she returned, her graduating thesis show focused on the relationship between text and textiles as a reflection of her time abroad and the need for a way of communication that transcends language. Upon graduating in 2016 Julia moved across the world to teach English full-time at Hokuriku Gakuin, a large private junior high and high school in Kanazawa, Japan. Jacob Dombrowski ’13 is the director of Rocket Mortgage for Quicken Loans, in Detroit, Michigan. He is completing his master's study in art history at Harvard University, with a concentration in contemporary art theory and institutional critique. Kristen Dunn ’13 has been working as a graphic designer at Haworth, Inc since 2014. She has collaborated with clients worldwide to help them successfully obtain new business. From 2014–2016, she was voted as the AIGA (American Institute of Graphic Artists) West Michigan Programming Director, and has hosted numerous world renowned artists in Grand Rapids to help broaden the non-profit's audience beyond graphic designers. Eden Collins ’12 is in her second year of the MFA Program at the University of Texas at San Antonio. Nicole Buccella ’12 Webber received her M.L.S, from the University of Illinois Urbana-Champlain and currently works at the University of Northern Colorado in the Michener Library as the library liaison to the Business and Communication schools. Katherine Kirby ’12 White M.S. Eastern Michigan Univ. ; holds a position as an Associate Curator at The Henry Ford Museums in Dearborn, writing digital content based on extensive archival research to increase accessibility to the museum's collection. She wrote a chapter entitled "A Usonian Michigan: Frank Lloyd Wright and the Taliesin Fellows" in the recently released book "Michigan Modern: Design that Shaped America.” She also sits on the board of the Oakland County Historic Commission and is a founding board member of DOCOMOMO Michigan, an organization which advocates for the documentation and conservation of buildings, sites, and neighborhoods of the modern movement. Chelsea Tarnas ’11 has participated in several shows in her home state of Hawaii, mainland US and abroad. In June 2018 she graduated with an MBA in sustainable systems and a Certificate in Cooperatives from Presidio Graduate School in Seattle, Washington. Caitlin Stanley ’10 Early spent four years as the Special Events Manager at the Aspen Art Museum, opening the new Shigeru Ban-designed building in downtown Aspen. She now works at Interlochen Center for the Arts as the Camp Registrar, and owns an event planning company called Form + Fete. Nikolas Burkhart ’09 has had several solo and individual exhibitions in the Chicago area. Lead Curator/Artistic Director for Buy Art Not People in Chicago, Illinois. Katherine Wilbur ’09 J.D. Loyola University Chicago Law School; L.L.M. in taxation Northwestern University School of Law; Attorney at Varnum LLP; State Bar of Michigan Taxation Section Council Member. Emilie Puttrich ’09 MFA 2012 San Francisco Art Institute; currently working as a assistant registrar and exhibitions specialist at Newberry Library, Chicago, Illinois. Amy Gilles ’09 received her Master of Fine Arts in Painting in 2013 from the University of Illinois at Champaign-Urbana. Amy Gilles is Assistant Professor of Art at Northwest Nazarene University in Nampa, Idaho. Audrey Wasielewski ’09 received her MFA in Sculpture from Colorado State University and is a project manager for a local software company in Ft. Collins, Colorado. Kat Mojzak ’09 is pursuing her Masters in Social Work at the University of Michigan at Ann Arbor. Emily Cable ’05 McKenna worked in arts administration as the City of Upper Arlington (OH) Community Arts Coordinator from 2005-2008. During this period of time, Emily was involved in the local Columbus art scene, as an artist in an artist collective, curating and creating art exhibitions. In 2009, Emily completed an internship at the Solomon R. Guggenheim Museum in public programs where she began to explore the integration of art and healing. Emily completed a master’s degree in clinical mental health counseling at the University of North Florida in December 2011. Heidi Bender ’04 teaches in the Department of Fine, Digital, and Performing Arts at Shawnee State University in Portsmouth, Ohio. She has also collaborated on projects with Marin Abell (Tarp Lake) and SPURSE (Crooked River Songlines, Entangled Citizens), as well as with Keith Ray and the Service Living Initiative (The Walking Harvest), and Ohio University students at the Good Earth Farm. Her most recent project was the Talking Petals Project, combining Victorian flower languages with modern text messaging. Bender received an MFA from the Ohio University in 2009. Andrew M. Lick ’04 is in the Furniture and Decorative Art Department at Leslie Hindman Auctioneers, the Midwest’s leading auction house of fine arts, after completing his M.A. in Fine and Decorative Arts at Sotheby’s Art Institute in London in in 2006. Daniel Berhanemeskel ’03 currently exhibits work in the African Collection in the Smithsonian, Washington D.C., and is in the M.F.A program at Michgan State University. Jennifer Chalifoux ’02 is Antiquities Director for a company in Chicago called Harlan J. Berk, Ltd.
Matt Parker ’02 is currently a Project Manager with Applied Minds, LLC in Los Angeles. Applied Minds is an advanced R&D "make tank", specializing in conceptual design, engineering and ideation for Fortune 500 companies and the US Military. In 2012, he received a patent on an iPhone case with retractable headphones and sold the IP to a Michigan-based manufacture and distribution company. The product is now being sold under the brand name Turtle Cell. Matt currently resides in Los Angeles with his wife, Krista and they welcomed their first child on August 26th, 2016. Cheri Cecil ’02 Phelps is the Studio Programs Coordinator at the Grand Rapids Art Museum. Jennifer Joubran ’02 Holmes is the owner of Home & Company at the Tower Clock in Holland, Michigan. Cassie Krause ’02 is teaching art at Hopkins High School in Hopkins, Michigan. Elizabeth Seramur ’01 is in the Art Conservation program at the University of Texas - Austin. R. Brian Wondergem ’01 after receiving his M.F.A. in sculpture at Yale University, is working at the Friedrich Petzel Gallery in Chelsea as their Art Preparator. He is also in the Emerging Artist Fellowship Exhibition at Socrates Sculpture Park in Long Island City, New York. Jeffery Tryko ’99 is a research assistant at the Spectrum Health Butterworth Campus in Grand Rapids, Michigan. Nate Greenwood ’97 is an art teacher in the Jenison Public Schools. His ceramic pieces are at the Uniq Gallery in Three Rivers, Mi and he also designs and builds custom furniture. Matthew Tailford ’97 received his MFA from the University of Michigan. His film, "War Prayer" was an official selection in the Beverly Hills Film Festival. He has been performing on stage and in film for over twenty years. Standout theater productions include, To Kill a Mocking Bird, Scapino, Return to the Forbidden Planet, Chaps, Much Ado About Nothing, Dancing at Lughnasa and Lost in Yonkers. His most recent film credits include, Batman vs. Superman: Dawn of Justice, ISRA 88, Mickey Matson and the Copperhead Conspiracy, The Book of Daniel, Jerusalem Countdown, War Prayer and Do You Believe? as Bobby. He is an avid cyclist, visual artist and a founding member of 10 West Studios and EMC Productions. Naomi Tsukamoto ’96 received her MFA in ceramics from the university of Colorado, Boulder. After her return to Japan in 2009, she and her colleagues have developed studios for pottery tourism in Kamakura, a charming historic town near Tokyo. She also runs a flower & pottery studio with her florist husband in the countryside of central Japan. Margaret Thatcher Projects Gallery in New York City. Dawn Krukowski Jacobson ’94 is an Art Instructor in the Fruitport Community Schools. J. Chadwick Johnson ’93 will be opening a solo exhibition, entitled "Counterintutitive" at the Gallery of Urban Art in Emeryville, California on October 8, 2005. David Chapple ’91 painted the commemorative poster for the Independence Day celebration in Washington, D.C. The poster, "A Capitol Fourth," is the first to be designed by a non-Washington, D.C.-area artist. Michelle VanderVelde ’90 Calkins is the owner of Four Corners Framing Company in Holland, Michigan. John Saurer ’89 received his MFA from Colorado State University 1995, and has been teaching drawing, sculpture and printmaking at St. Olaf College in Northfield, Minnesota, since 1995. John is also the Chair of the Art Department. John routinely teaches J-term classes in New York City and San Salvador, Bahamas. He had recent exhibitions in New York, Illinois, Wisconsin and Montana. John maintains a studio and gallery in Bozeman, Montana. Anne Harrington-Hughes ’89 received her MFA from Wayne State University. Elona VanGent ’87 is currently the Associate Dean - School of Fine Arts at the University of Michigan. Matt Vander Borgh ’84 received his M.A. Architecture, Harvard University, class of 1987. Matthew was first recognized through his work as an architectural designer for the prize-winning Gateway Transit Center in Los Angeles in 1997. Following this success, in 2002 Matthew founded his architectural design practice – C Concept Design B.V. – in the Netherlands. With C Concept, Matthew and his firm have gone on to design multiple award-winning buildings across the globe. These include the Les Terrasses du Port shopping center in Marseilles, which won Best Urban Retail project in 2014, the Columbus Shopping Center in Moscow, which won Best Very Large Shopping Center in 2016, and completing the Hope College Kruizenga Art Museum in 2015. However, of all of these, Matthew is most proud of his family – his amazing wife Mehyun and his four wonderful children – Forrest, Rai, Indigo, and Joost. Mark Holmes ’83 is a Yale graduate and the former owner of Per-Se for 17 years, which produced custom furniture. He is Chair of the Art Department at Knox College in Galesburg, Illinois. Jennifer Gould ’73 works in textiles, focusing on art dolls and monoprinted embroideries. She is represented by Synchronicity Gallery in Glen Arbor, Michigan, and YT Galleria in Grand Rapids, Michigan. Her work is in private collections in France, Japan and the U.S. She teaches nationally, in places such as Ohio's fiber577, throughout Michigan and at her home in Byron Center, Michigan. Recent exhibits include the Northville Art House, the Muskegon Museum of Art's Regional in 2016 and the Michigan League of Handweavers Biennial Fiber Show at the Dennos Museum. Find Jennifer Gould online. View upcoming art events What can I do with a major in Art or Art History?